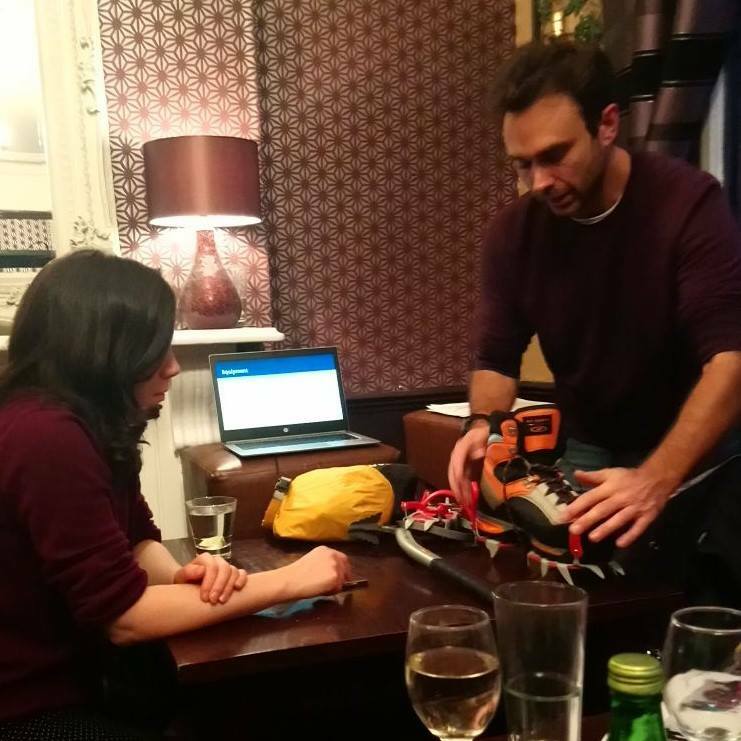 Thanks to everyone who came to the Lemon Tree for our Winter Walking Talk, which was a fun social evening with a brilliant presentation given by Harry on all the essentials everyone should know and bring with them before taking to the hills in Winter. Being an intrepid mountaineer he even brought along his full winter ruck sack and one by one showed us the contents of at least 30 very essential items ranging from his compass and map and crampons to his ice axe, and in turn explained the importance and uses of each item! He also went over the basics of navigation and planning a route for given weather conditions etc. Everyone learned something new that evening and left feeling inspired for venturing into the mountains this winter.